It’s a fact – it’s difficult to purchase a great gift for a guy; one you know he will truly like and use. This is exactly what Daniel, the creator of SWIG Flasks, was thinking when he got the inspiration for his company. The thought process was simple; making an affordable gift that guys would be excited about. After having the opportunity to check out the products in person, I was inspired to create this review. Flasks are one of the traditional gifts that grooms give their best men and groomsmen for a wedding gift. The problem with that is there are a few different ways you can go – a cheap, funny flask that isn’t going to serve the purpose very well, or an expensive antique flask that will break the wedding budget before the vows. The first thing I noticed about SWIG Flasks is that they offer a third path. They are obviously very well made, and sturdy enough to keep up with even the most active guy, but they don’t cost a fortune. This makes them very well suited for wedding gifts or gifts for other occasions. It’s already a given that a guy is going to get excited about receiving a high-quality hip flask, so one that is affordable and stylish is a huge bonus. Speaking of style, another thing I truly enjoy about SWIG Flasks is that there’s something for everyone. All of their flasks aren’t the same, so it’s easy to find one that suits the style and personality of the person you’re shopping for. 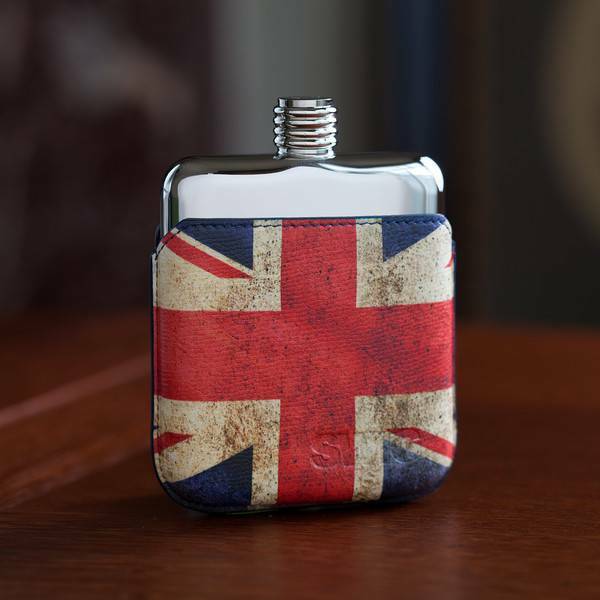 For instance, the younger guy who enjoys unique and edgy clothing, spends time at indie band concerts and likes to travel would really enjoy the style of the Union Jack Flask. Now, the father in law with the refined taste, the leather-chaired office and the crystal decanter set would probably appreciate something a little more conservative. 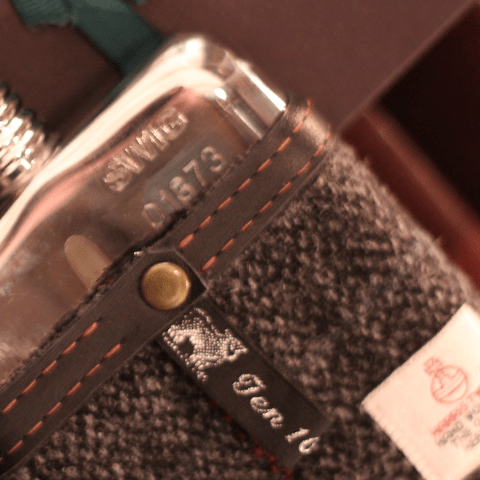 The Harris Tweed Flask gift set is right up his alley; super stylish, but also mature. I like the fact that you can make your gift even more personal with custom engraving, extra pouches, and other accessories. Typically, when I purchase something that I truly like and that I know I will have for a long time, I like to purchase accessories that make it either more convenient, more stylish or more functional. With SWIG flasks, you can do that, whether you want various pouches for different days, or funnels so that there is no alcohol spillage when transferring, it’s available. The review wouldn’t be complete without this little bonus, which I felt was genius. Imagine you received the perfect gift of a SWIG flask and during a party at your brother’s house, you somehow managed to drop the lid and you can’t find it anywhere. A gorgeous flask, ruined because now you can’t close it? No! Simply purchase a replacement lid for a few bucks from SWIG Flasks and you’re good to go; no need to purchase a whole new flask. Overall, I think SWIG Flasks offer a quality product, with a lot of options that make it a great option for gift-giving. The wedding gift sets make it particularly easy to shop for groomsmen, best men, or fathers of the bride and groom.